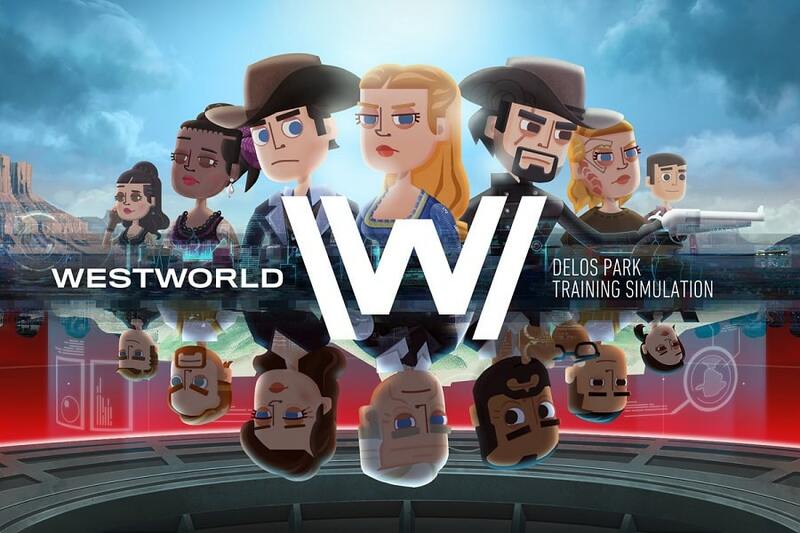 Westworld Mobile for PC is a game based on the hit HBO series of the same name. In this game you get to live the fantasy of running around the virtual reality park and calling the shots. Many of the elements from season one of the show are in the game and a few elements from season 2 will be added gradually. The developers tried hard to make the game feel as close to the series as possible therefore they included narratives written by the show-runners themselves. Favorite characters from the show including Thandie Newton, Jeffrey Wright ant Evan Rachel Wood even lend their voices to the game. You’ll start off the game as a new employee with access to the Delos Park Training Simulation. Your responsibilities are as simple as building an entire park from scratch and manufacturing robots who act as hosts to pair up with humans (the guests) who are usually just in it to act out their suppressed criminal urges. Sounds simple on paper however you will have to pay attention in order to make sure that your guests are happy. Keeping the guests happy is all about providing the necessary parts to create a good host, and building new objects on demand. You’ll also need to make sure that your hosts are properly maintained or risk incurring losses. Westworld Mobile has a very steep learning curve. You’ll need to spend a few hours learning how things work but once you do then things flow smoothly. For example, you will learn how to pair up your guests to bring the most out of them and even sacrifice one host to upgrade another. If you manage to keep your guests happy then you are rewarded with green gems. These gems are used as in-app currency for every major upgrade. They are very hard to come by which may tempt you to make in-app purchases. The visuals are fairly basic but they do enough to keep you entertained. 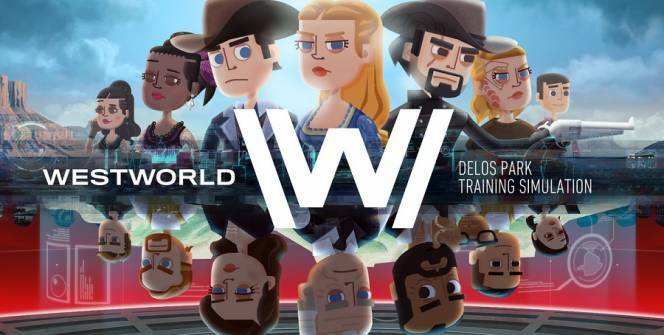 The cartoon theme makes it easy to identify the characters from the game however it is a bit light when compared to the dark themes involved in Westworld. The sound effects make up for that by using the same soundtracks that are used in the actual TV show. An engaging storyline that keeps players coming back and dealing with numerous guests means that there will several parallel storylines to keep you entertained. 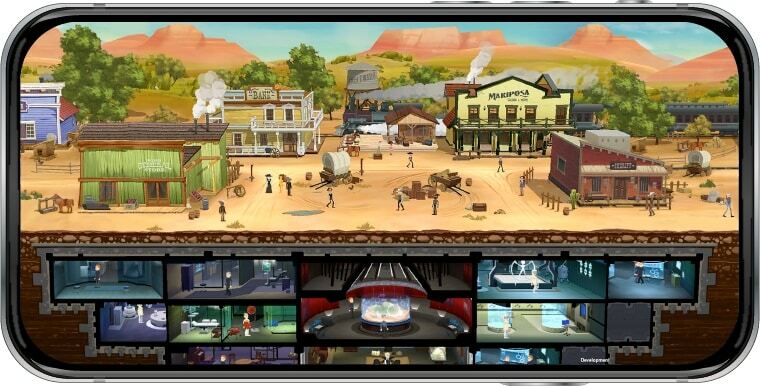 Bethesda’s claims that some of the code used to create this game came directly from their design specs for Fallout Shelter put a few question marks over Westworld’s credentials. People who are into mobile games and enjoy the actual series absolutely must give this game a try. Anybody who has ever dreamed of running their own park can make that happen in this game and controlling the hosts is a lot of fun. An expert mix of storyline, sound effects and visuals will also make it a fun game for someone who has never heard of the series before. Sometimes when playing Westworld Mobile, bluestacks ask you fee to pay but gives you option to download some apps. Every time it asks you just select “Install apps” and continue using it free. I hope you enjoyed this article, please rate and share. If you have problems running Westworld Mobile on your desktop or any other issues, leave a comment below.